Do they even have anniversaries on Xen? Holy headcrabs, Half-Life is 20 years old. This makes me feel even closer to death than all the grey hairs I’ve been accumulating. 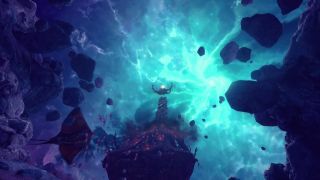 There are lots of ways you could observe this special day—with crowbars primarily—but you also might want to watch the first Xen footage from the Half-Life remake, Black Mesa. It’s been a long time coming. In the original Half-Life, our trip to the alien world of Xen is brief and... well, not all it could have been, so Black Mesa developer Crowbar Collective decided to deviate from Valve’s version and expand Xen into a proper misadventure that’s almost the size of a full game just on its own. Check out the impressive trailer below. 20 years has clearly done Xen the world of good. Crowbar Collective isn’t quite ready to release Xen into the wild, however. The team is looking to launch Xen during the second quarter of next year. It’s finished for the most part but, the developer explains, there’s still room to make it more polished and stable. Unlike the rest of Black Mesa, Xen is almost entirely original work, though obviously Half-Life is still the cornerstone. This re-imagining of the alien world will take players around six hours to complete, judging by playtests, and more if you plan on investigating every nook and cranny. While you wait, here’s the story of Black Mesa.